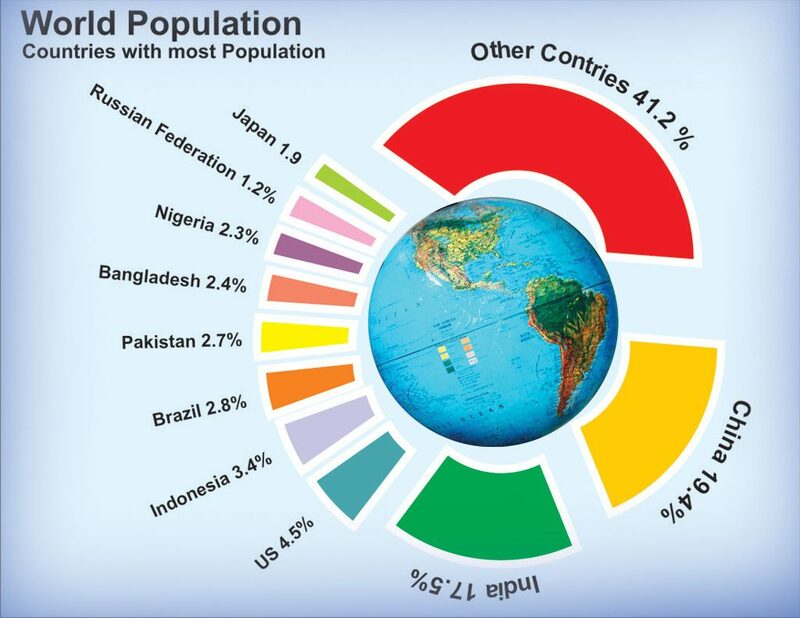 A new report presented by United Nations officials at the American Statistical Association meeting in Seattle estimates that by 2100 the world’s population will reach 11.2 billion people. Another less conservative scenario, however, estimates a numbers of 13 billion. Right now, there are 7.3 billion living in the world or around 80 million people more than last year. Driving world population growth is a combination of increased longevity and lower child mortality rates throughout the world, according to John Wilmoth, director of the population division at the United Nations. Even so, the growth is slightly slower than before. In the past 12 years, an extra billion people were added to the world population, but now its growing only by 1.18% annually. So, what can we make of this? Well, a growing population should first and foremost be taken as good news. It means things are actually getting better in the world. People all over the world are living longer and less babies die prematurely. So, what’s the bad news then? Well, the bad news is that while the actual number of people on the planet is growing, the quality of life isn’t necessarily rising on par. Not equally distributed, at least. Specifically, poor countries with a long history of conflict and ineffective governance will find it increasingly difficult to keep up, especially sub-Saharan countries where UN officials estimate an explosive growth in population. “The concentration of population growth in the poorest countries will make it harder for those governments to eradicate poverty and inequality, combat hunger and malnutrition, expand education enrollment and health systems, improve the provision of basic services and implement other elements of a sustainable development agenda to ensure that no one is left behind,” they wrote.